What can I expect a catering company to do for me? 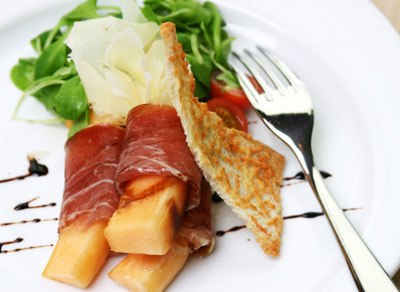 We combine delicious food with elegant service in creative environments. Knowledgeable and friendly staff are ready to create a special event that exceeds your expectations. Massoud Catering can arrange a variety of event services, but mostly you will discover that hiring Massoud Catering to produce your event allows you to "be a guest" at your party and take all the credit for being the "perfect host or hostess." How far in advance do I need to call to book a party? Booking the catering company should be one of the first items on your agenda when planning a special event. It is not necessary to complete the details such as menu selection if your event is several months in the future; however, you will want to be sure the date is available. Sometimes a deposit to hold the date is necessary. Should I share my budget with you? Yes, sharing your actual budget with any catering company allows them to offer creative suggestions you can afford from the first proposal. Share your thoughts with us so that we can help you determine how your budget can achieve your expectations. Do I need a large kitchen to entertain in my home? Not at all. As an off-premise caterer, Massoud Catering can produce an event at any location at any time. A site visit with us will determine the best location and method of preparing the menu for your special event.